Pet peve, don't park in my spot. 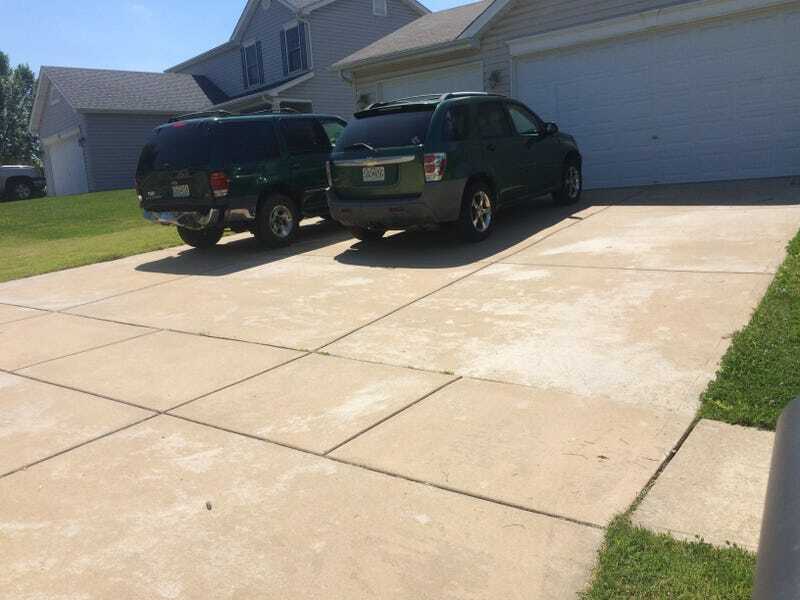 My driveway is in 3 sections & the far side is mine. The near side is for my wife with van, yah know closer to the front door to unload groceries & children. When her sister comes over for some reason she parks in my spot every damn time. These are my inlaws that rented from us so I don’t expect much from them ever. I guess I should be grateful I have a wide driveway that can fit visitors. Although there is about 3 street spaces for that. She got rear ended and instead of buying another car they kept that one and bought some parts to fix it. Insurance paid $2500 for car damages & $2500 for pain & suffering. Insurance Company got a good deal.